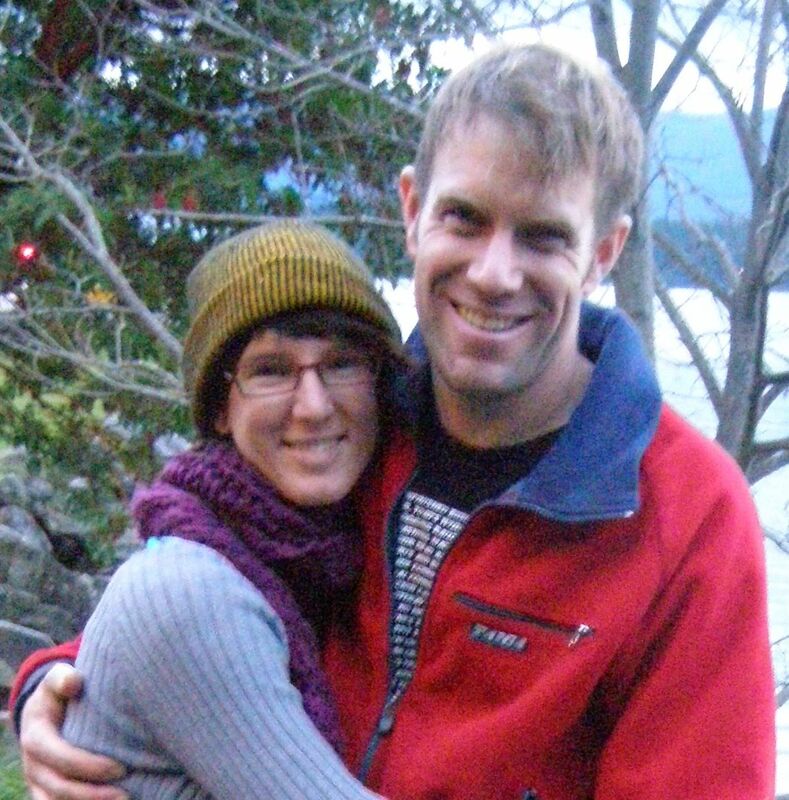 Everyone has heard about food security, the hundred mile diet and the slow food movement. But what if you could “do it yourself” and have a hundred foot diet! Well that’s exactly what my friend Kacper did! In his massive 40 foot geodesic greenhouse. Before I tell you about that amazing story though, I have to tell you how much I love “Bucky” Fuller and his geodesic domes! Fuller became famous for creating the geodesic dome of 1949. This structure of the domes comprise of a simple network of triangles that form a roughly spherical surface. The geodesic system consists of dividing a sphere into equal triangles so that it was light, strong and easy to build. Because each triangle supports the others the finished dome is super strong, lightweight, transportable and easily assembled. Think about an eggshell, it’s a weak material but when arranged in the shape of an egg it becomes very strong. 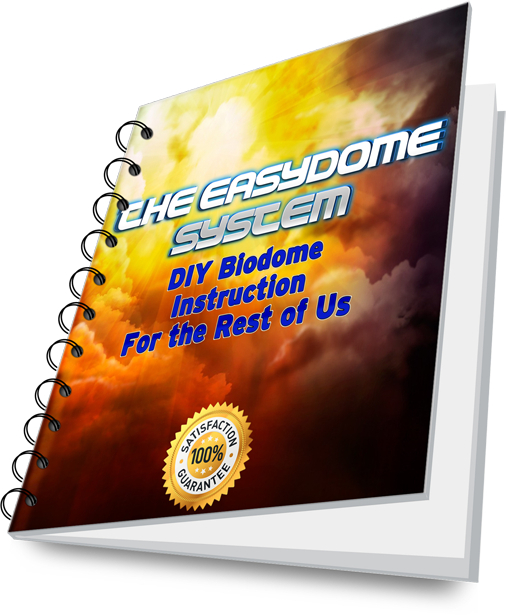 The geodesic dome greenhouse has a very high strength to weight ratio because it is made of lightweight materials but is made in such a way that the stress is evenly distributed to all members in the structure. The design was originally offered as a way of producing ecologically efficient housing for the mass market but now most people build or buy domes to grow food. 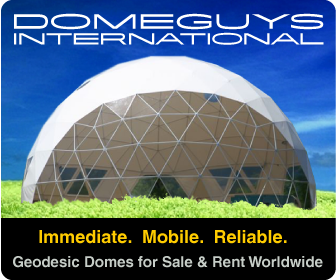 Geodesics Inc. was set up in 1949 by Fuller to develop the concept and since then some of the largest free standing structures in the world have been made this way. Think of Epcott Center for example. So enough blathering about domes for now. 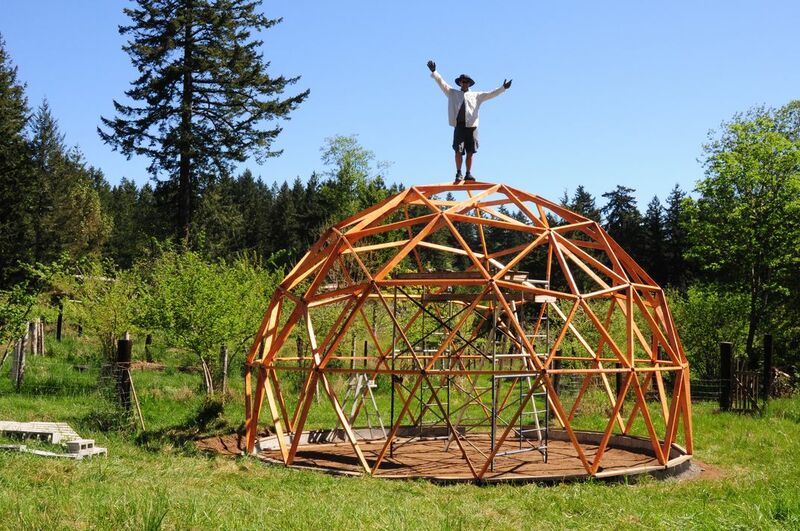 Tomorrow I will talk more about my friend and what he discovered about constructing geodesic domes, right in his own back yard! This entry was posted in Geodesic Greenhouse and tagged buckminster fuller, geodesic dome, geodesic greenhouse. Bookmark the permalink.